So I lived in Beijing for over a year and of course I went to all the touristy parts, but when 2 of my best friends are coming all the way from Belgium to visit me, I'm happy to go back and show them around! Last Sunday I took the 8am high speed train to meet my friends 6 hours later in our hostel (Lucky Family Hostel, it's cheap, decent and it has a great location!). 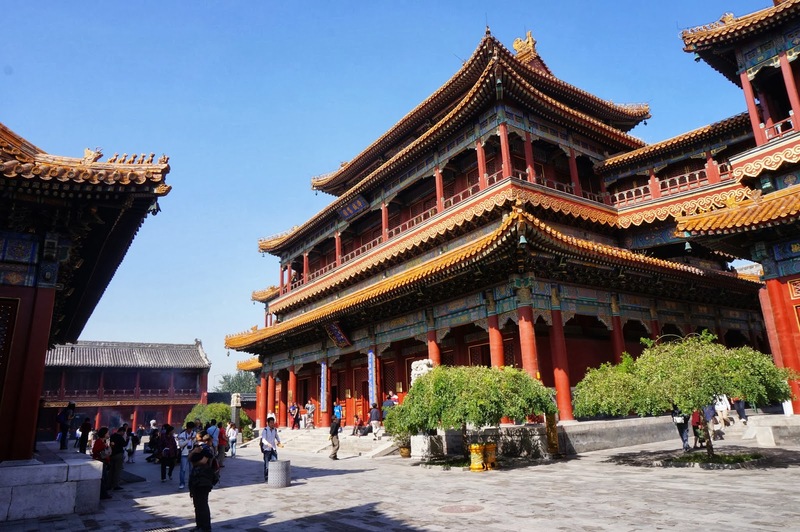 The first day was quite calm, they had a long flight and I had an early morning, so we wandered around in the Hutongs and had a drink in Drum and Bell bar (close to the drum and bell towers). The next couple of days where filled with lots of sightseeing and activities! We went to the Pearl Market for some cheap (and fake) souvenir shopping, walked around the Temple of Heaven and we took a subway to the Olympic Village. 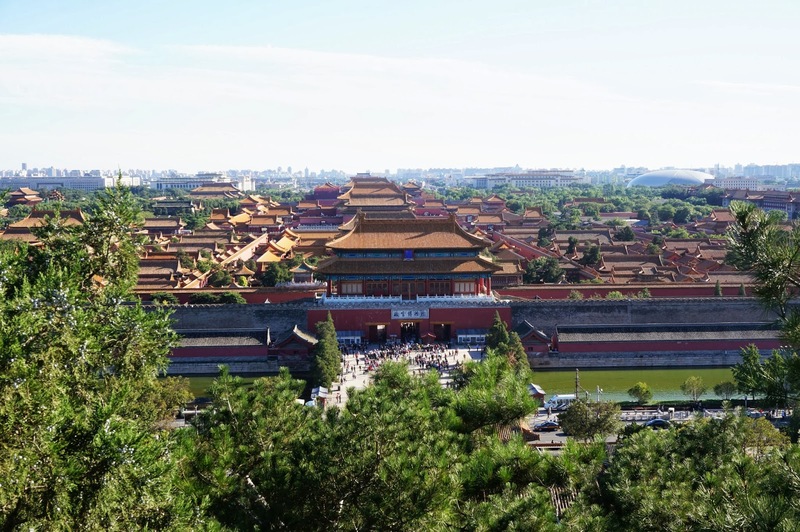 We rented bikes and biked to Tiananmen Square, all the way around the Forbidden City and after that we went up the hill in Jingshan Park to enjoy the view. We visited the nicest (according me) temple, the Lama Temple an we even joined a tea ceremony which was very interesting! 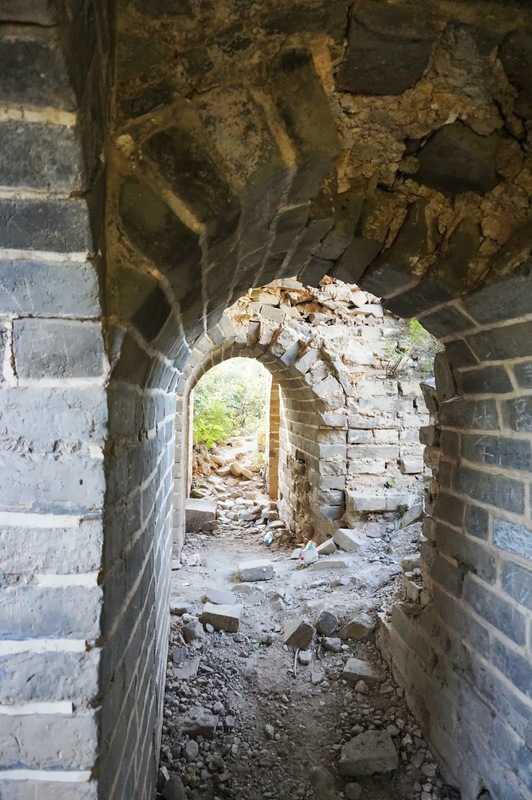 The biggest adventure we had on Wednesday when we wanted to go to a less known and (partly) unrestored part of the Great Wall. 1 bus (916, taken from Dongzhimen bus station, get of in Huairou town), a search for another bus station (Nan Hua Yuan Si Qu), a second bus (no number, look for: 水长城 on the bus and get off at Zhuang Dao Kou), a hike up a "rocky path" (how Lonely Planet described it) that's what we needed to reach one of the towers on the Great Wall. Stunning views, but it looked like we couldn't walk any further. 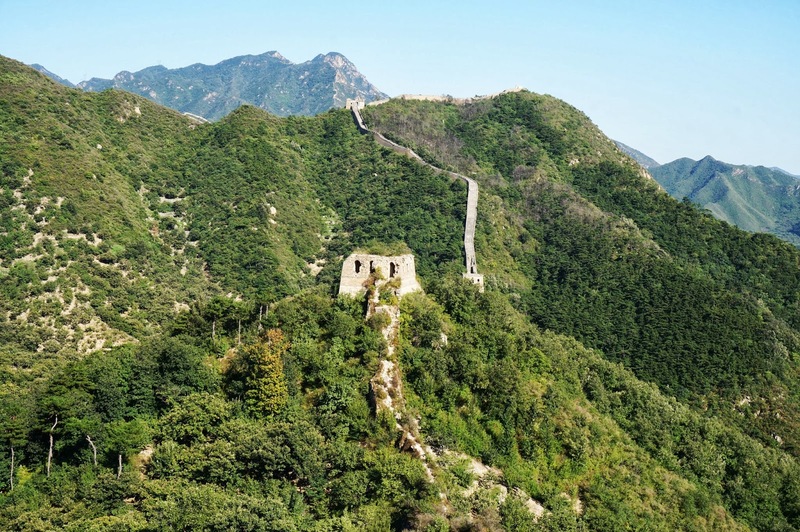 The 'Wall' was very damaged and not walkable, it looked too dangerous. So we decided to go back and keep as close as possible to the wall in case we could climb up a little further. And yes, we could! After 5 minutes we were back on the wall! Still unrestored but walkable. Up and down all the way to the restored part which we also climbed for another couple of hours. It was amazing! And a funny thing: we only met 5 other tourist, 3 of them were Belgians, originally from Antwerp! It's a small world. So we did quite a lot in these few days. Now we are in Shanghai and ready for some more adventure (we're going to climb the Yellow Mountain next week so stay tuned! ).